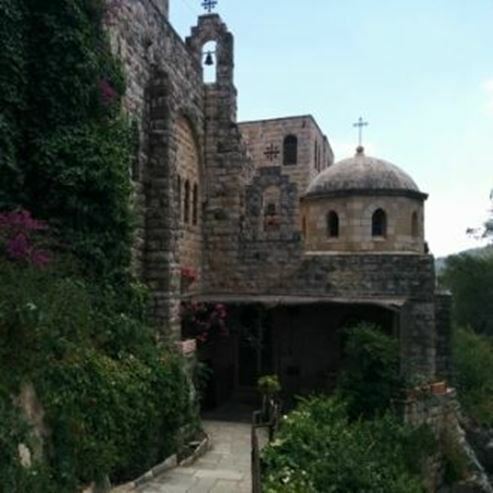 A picturesque Franciscan monastery, situated on a cliffside, beneath the houses of Moshav Even Sapir in the mountains of Jerusalem. The monastery is named for John the Baptist, who according to tradition was born in nearby Ein Kerem, where he began his solitary retreat before descending into the desert. The monastery was built by Italian architect Antonio Berlucci in 1922. The size of the church is quite small and it is located in an elongated room whose ceiling is built of a cross dome. The colors that dominate it are shades of brown, yellow and cream. 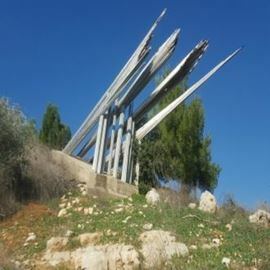 It is lit in daylight by a series of small windows overlooking Sattaf and Nahal Sorek. The walls of the church are covered with 14 crosses decorated with thorns and symbolize the Passion of Jesus, the 14 stations in the Via Dolorosa before the crucifixion of Jesus. Near the monastery is the spring of al Khabis, the water that flowing from the rocks, flows in a narrow tunnel under the church to an 8-sided ornamental pond with a small fountain of ornamental fish in its center surrounded by vegetation. The spring water is channeled into a reservoir and flows into the vegetable plots cultivated by the monks. 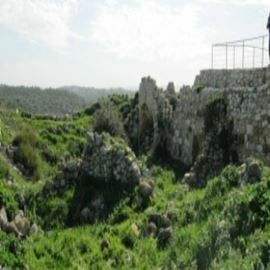 The monastery is located next to Moshav Even Sapir in the Jerusalem mountains, and one must dress modestly to enter. Inside the monastery, there is a small shop for memorabilia related to Christianity, honey and self-produced wines. Using WAZE: Write Moshav Even Sapir, then drive according to the signs to the monastery of John the Baptist.